Choose a “Regionale veloce” train, they are quicker and cost the same. You don’t need to rush to reserve, regional train tickets do not accept reservations and ticket prices are fixed (and fairly cheap!) . Actually you may not be able to see the time table before one week from the departure date, if you need to look for the schedule just enter a date within one week, time tables are fairly stable. In case you purchase your ticket at the station (paper ticket), remember to validate it before you get on board. In case you prefer not to walk, you can catch the convenient LAM Rossa bus line (bus stop close to the NH Cavalieri Hotel), which will stop you just in front of the leaning tower area. Just to pay attention to catch it in the right direction, otherwise it will get you to the airport! It’s a 3 stops ride, less than 10 minutes, buses run fairly frequently. Once you get to Campo dei Miracoli you will be amazed by the monuments laying in a well maintained grass field. Not only the leaning tower, but also the cathedral, the baptistery, the monumental graveyard and the museum. The access to Campo dei Miracoli is free, while you will need to pay for visiting the other monuments. Consider that very few visitors are permitted at the same time on the tower, so you will need to reserve your tickets well in advance. 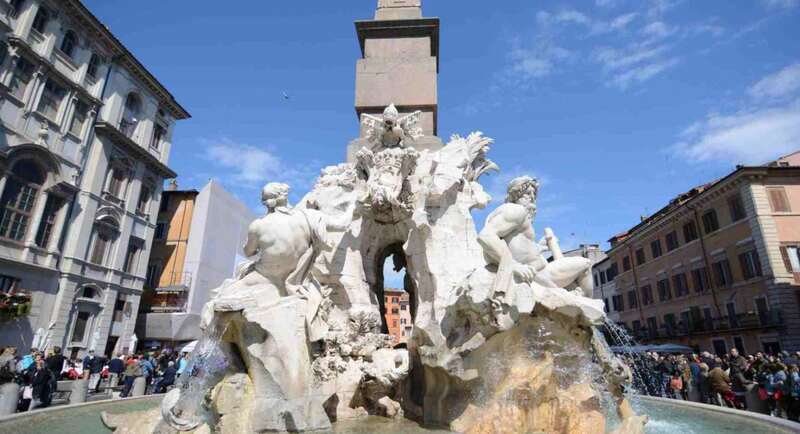 This is the link to the Opera della Primaziale Pisana, the no profit organization that manages the monuments, where you can purchase your tickets on line (all the other sites you will find on the Internet are resellers and will charge a commission). Click here to read my post “Climbing on top of Pisa leaning tower” for additional information and lots of pictures! In case you don’t want to deal with Italian public transports, here is a convenient and fairly priced half day Pisa tour from Florence. Many great experiences available in Pisa! Click here to check your many options: sightseeing, tickets, passes, guided tours , food and wine tours, cooking lessons and more!